pH indicator paper/pH test paper/pH paperis made from high-quality filter papers which are primarily impregnated with indicator solutions or solutions of indicator mixtures and then dried, cut into shape, and marketed in the corresponding presentation forms. The indicators that are firstly offered as rolls in round containers are better protected against external effects such as moisture, light, and acidic and alkaline gases than are the booklet forms of presentation. There are two principal areas for the application and use of indicator papers. 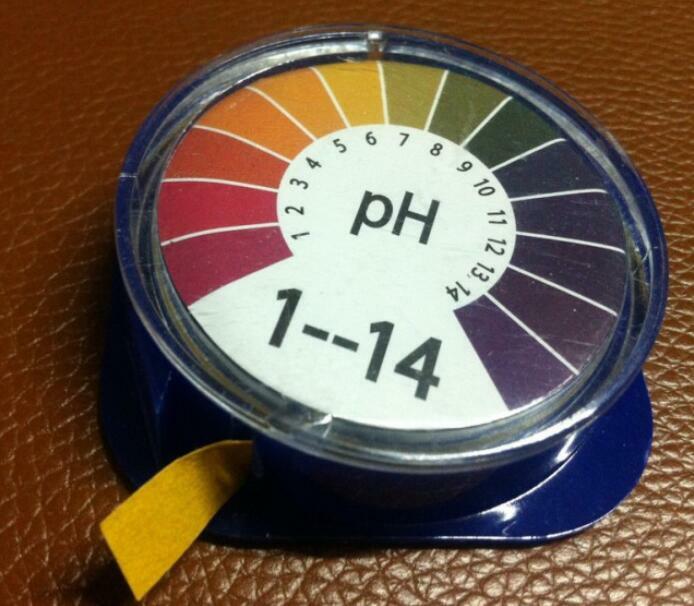 In the first area, it is possible only to determine whether the pH of a sample is above or below a specific pH value, as is the case, for instance, with litmus paper, and secondly there are pH-indicator papers that enable the user to measure the pH of a sample to 1, 0.5, or even 0.2 pH units exactly. • Tear off the required length of indicator paper and immerse in the sample solution briefly (1 sec) to a depth of 1-2 cm. • Shake off any excess liquid and within 10 seconds match the color of the paper to a color on the scale, and read off the corresponding pH value. Further information about our pH indicator paper/ph universal test paper,ph paper please feel free to contact us for your convenience.